A skin purifying face mask that rejuvenates your skin! 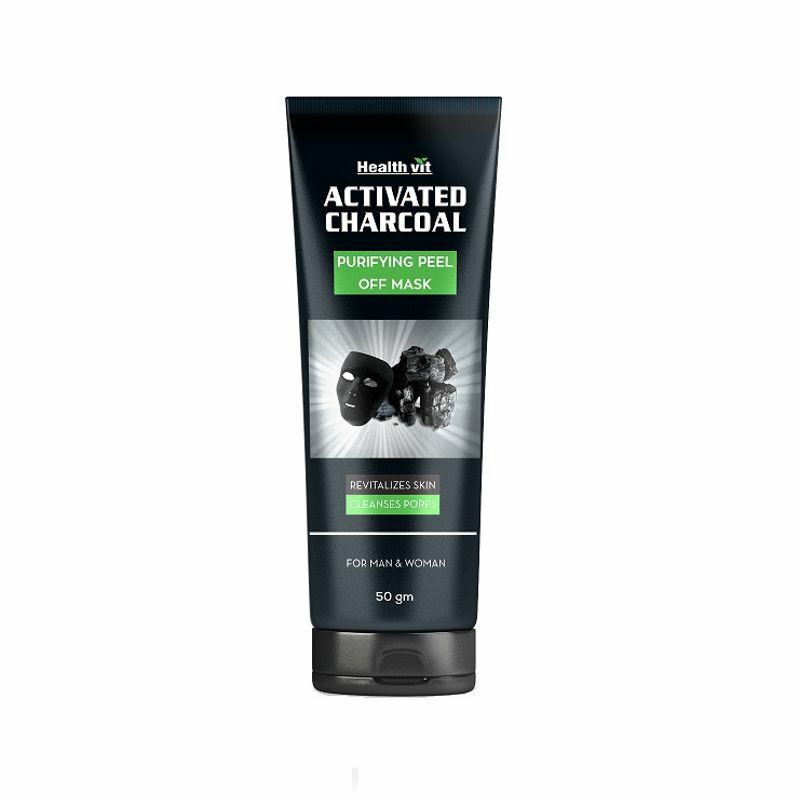 Healthvit introduces a 100% natural peel off mask enriched with activated charcoal. This Deep Cleansing Purifying Peel Off Black Face Mask is specially formulated to unblock clogged pores by peeling blackheads, dirt and spot-causing bacteria away. Activated Charcoal in it acts like a magnet to draw out the most deeply rooted impurities. It helps to remove black heads, dust, dirt, and pollution from the skin absorbing chemical and unwanted toxins. The Healthvit Deep Cleansing Purifying Peel-Off Black Face Mask has earned its superstar status by being the ultimate blackhead-buster! Explore the entire range of Masks & Peels available on Nykaa. Shop more HealthVit products here.You can browse through the complete world of HealthVit Masks & Peels .